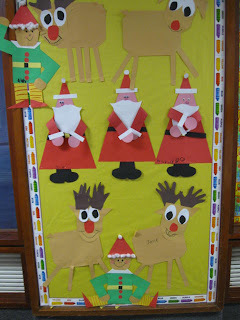 December Bulletin Board...So Very Cute!! This is our bulletin board in the hallway...oh so cute. Got these ideas from those crafty teacher bloggers. Thank you for sharing your creative ideas!! I get compliments every day on these darling projects! !